Manchester United is undoubtedly the biggest club in England and one of the most prestigious on the continent and widely respected globally. Over the years, the club has been blessed with a plethora of players that have graced the hallowed turfs of Old Trafford. The names of Bobby Charlton, Denis Law, Nobby Stiles, George Best, Ryan Giggs, Paul Scholes, Cantona, Ronaldo and Rooney have been sung on the terraces with hearts full in appreciation of what those players won for the club. 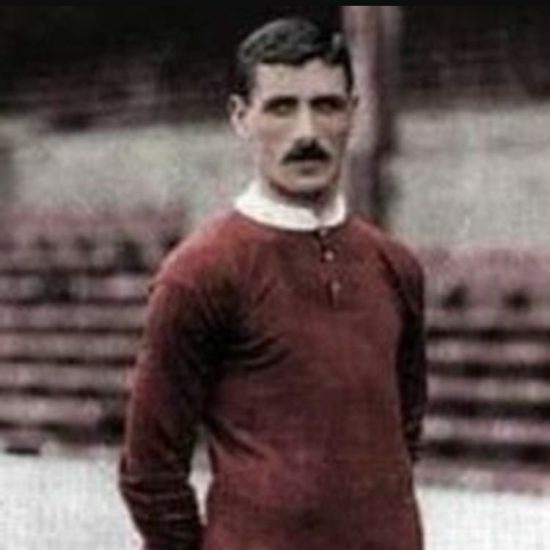 However, while many remember fondly these illustrious men that made the United brand famous all around the world it is important to note that before all the glitz, glamour, frenzy, money and undoubted paparazzi celebrity status that follows modern day footballers, one man stood tall at The Theatre of Dreams: Billy Meredith. The Wales international was born in 1874 and began his playing career for local team Chirk between 1890-1892 but he is highly regarded as a legend for both Manchester clubs. The Welsh man joined rivals City in 1894 as a professional, and had a blissful career for the Citizens for more than a decade before being rocked with a bribery scandal after being found of match-fixing. Billy Meredith joined the Red Devils in 1906 on a free transfer from Manchester City while still serving his ban and two years later he was instrumental to our Football League Division One title which is the first of our record 20 League title wins. He is often described as our “first footballing legend”. Moreover, he is also known for chewing tobacco in his early days but switched to chewing toothpick in which he believes makes him focus while playing on the pitch. The Wales international won every domestic trophy available in the English Football League, he scored just 36 goals for United in 335 appearances but his legendary status can’t be undermined having been regarded as United’s first legend. The winger is mostly deployed on the right hand side of the attacking midfield and he was known for his shooting, good passing ability, dribbling and crossing. Billy Meredith might not have enjoyed the flamboyant lifestyles footballers enjoy today but his talents endeared him to the fans and for him to be respected and loved by both Manchester clubs makes him standout heads and shoulders above the rest.